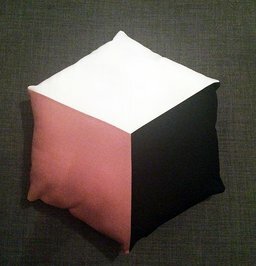 Cubo is a decorative, soft pillow for your home. 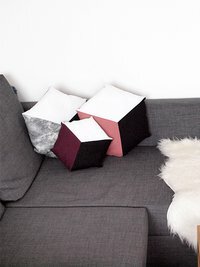 Cubo is not only comfortable but it plays with perception, making you believe that an object is three-dimensional, a cube, when in fact it is two-dimensional. 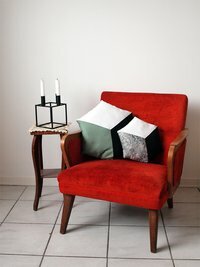 It comes in a variety of colors to complement and brighten every room. 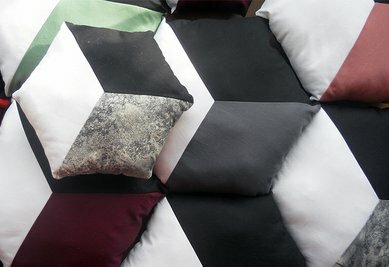 The fabric is 100% cotton and each pillow is handmade in Iceland. Inga Sól Ingibjargardóttir - Copyright © 2007-2014 All rights reserved.